Welcome to our Size Charts. Please use this chart as many of our Items are NON RETURNABLE. And everytihing else is a Store Credit Only on returns. All size charts are in inches. 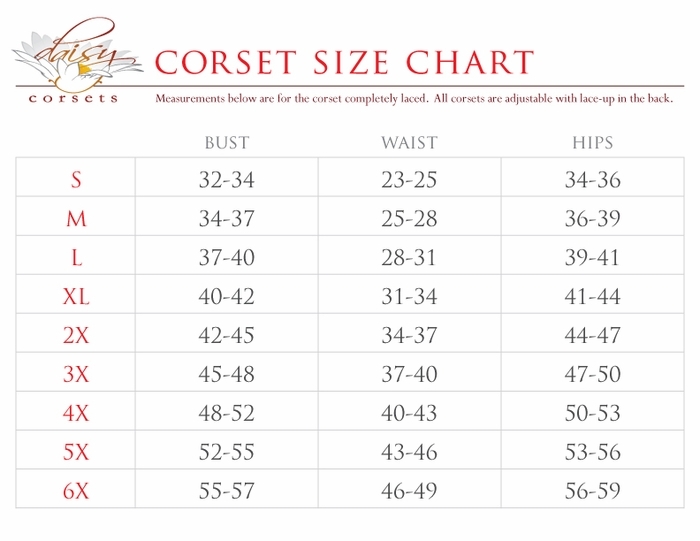 Bust 34″ 36" 38" 40" 43" 46" 49"
Daisy Corsets and Dresses Size Chart. One size Fits a Small, Medium, and a Small Large.